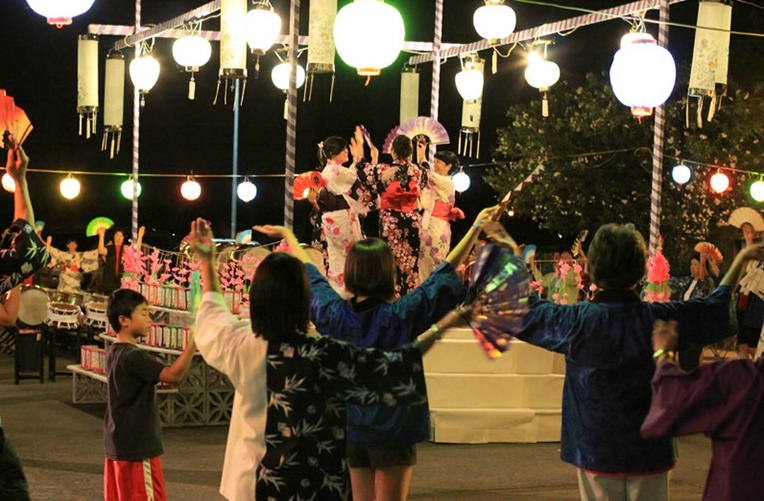 A scene from the 2013 Bon Odori. PARLIER — Buddhist Church of Parlier, 360 Newmark Ave. in Parlier, will celebrate Obon on Saturday, July 25. Bon Odori starts at 8 p.m. Everyone is invited to dance to the beat of the drums. Those who haven’t learned the dances can follow the instructors on the yagura. Food will be sold from 4:30 to 7:30 p.m. On the menu are teriyaki pulled pork dinner with rice, cabbage salad, corn, nectarines and grapes ($10 pre-sale), somen, somen salad and shave ice, plus Medaka no Gakko’s bake sale. For more information, call (559) 638-4669 or visit http://bcparlier.org.